Don't forget to sign Mr. Linky and leave a comment. Gee ... what an inviting name for a bridge. Really makes me want to see what's on the other side! Or was that the idea? Lovely photo Mary. Bridges are so photogenic, and these look great in sepia. What a lovely photo! Impressive. Love how you got the bridge from under - great view! Old bridges are so elegant made even nicer because you shot it from a graceful angle! Love the double bridge effect! I mpressive sense of dimension in sepia! The steel spans in NYC are beautiful. We don't have rivers wide enough and with ships passing underneath, we have more nondescript bridges in CT. The lace of steel is the beauty, the sepia the perfect tone! I also have posted a SS today. I like the perspective you captured on the bridges. Very cool. 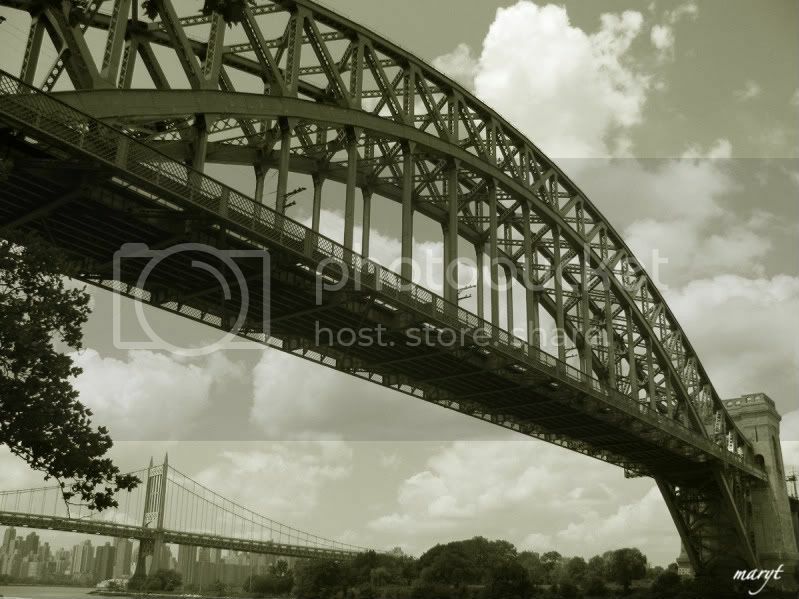 A magnificent shot of the bridge in sepia. Nice bridge, funny name and great angle. Love the way you captured both bridges. beautiful bridge, interesting name. love the sepia treatment. 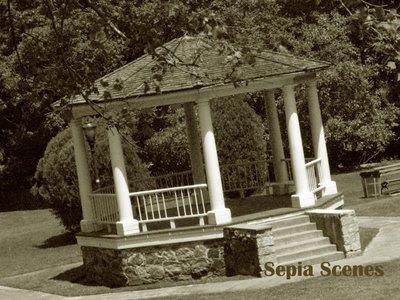 Hope you can stop by to see my sepia scene Thanks! I love both of the bridges in the same shot! The contrast between the two bridges is almost poetic. I also love the fluffy clouds peaking through the thick steel beams.